What results should I expect from a canthopexy/canthoplasty? It gives the eyes an almond shape. It lifts the external corners of the eyes when they are sagging, eliminating the tired and sad appearance of the eyes. It tightens lax (hypotonic) lower eyelids and corrects ectropion (inversion of the eyelid). It shapes the eyes when they are too rounded, like those of patients that suffer from hyperthyroidism or due to other factors. In patients that suffer from myopia, it prevents the “bulging eye” effect that may develop after a blepharoplasty of the lower eyelids. It partially corrects asymmetries after a facial paralysis. 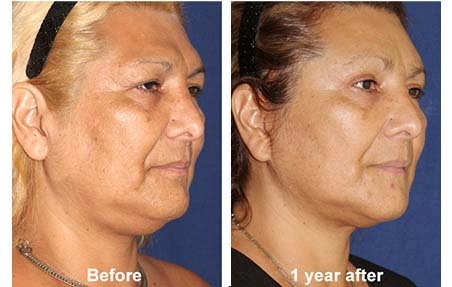 It is an ideal complement for blepharoplasty. What results should I NOT expect from a canthopexy/canthoplasty? It is not recommendable to combine Canthopexy/Canthoplasty with Facial Feminization Surgery when a forehead contouring is involved, since reshaping the orbital rims produces too much swelling on the area. How is a canthopexy performed? 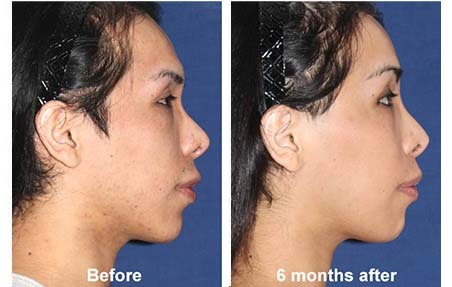 There are many techniques used to perform a canthopexy/canthoplasty. Each facial surgeon will decide which will be best for each case. It is likely that the method used in your case will be similar to the one described here, or a similar one: an incision of about 0.4 inches (1 cm) long is made on the upper eyelid, following the natural folds of the area. This way, the resulting scar will be concealed. If the canthopexy is done along with a blepharoplasty, the same incision is used for both procedures. Working through this incision, the surgeon gets to the canthal tendon, the one that holds the edge of the lower eyelid. He tightens it and fixes it to the membrane that covers the orbital rim (periosteum). He closes the incision with stitches. When there is too much excess skin on the lower eyelid, the facial surgeon may also trim a small portion of skin near the corner of the eye, remove it and join the remaining ends in order to tighten it even more. How long will I have to stay hospitalized for canthopexy/canthoplasty? 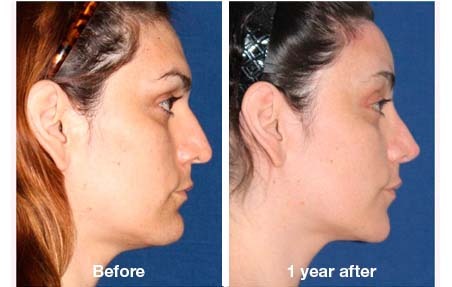 Canthopexy/Canthoplasty is done on an outpatient basis. Will I feel a lot of pain from canthopexy/canthoplasty? The pain after Canthopexy/Canthoplasty is moderate. Your eyelids will be tense and irritated for some days. 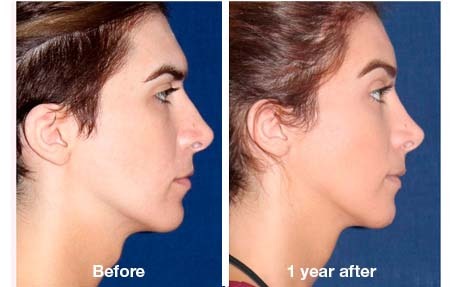 Your facial surgeon will indicate you to take analgesics every 6 or 8 hours; this will make you feel quite relieved. Eye drops will also be helpful. When will the stitches from canthopexy/canthoplasty be removed? What about swelling and bruises after canthopexy/canthoplasty? They are mild and usually take between two weeks and a month to disappear. They will be at their worst during the first week but, at time goes by, they will slowly disappear or migrate to lower facial areas. Cold compresses will help reduce the bruises and swelling. You will have to sleep with your head elevated for a few days. What will the scars look like after canthopexy/canthoplasty? Since the facial surgeon makes the incisions along the natural folds of the eyelids, the resulting scars will be disguised. You will have to rest at the hotel for 24 hours. You may be able to go back to your activities, and to have fun as you used to, at the second or third day after the surgery. A mask shaped facial ice pack will help a lot. At first, your eyes may be too dry, and you may experience irritation or itching. You may temporarily have double or blurred vision but don’t worry, it’s quite normal. For some days or weeks after the surgery, your eyes will be very sensitive to the light, or they may be quite watery. For about two weeks, you might not be able to wear your contacts and, after that period, once you begin wearing them again, you may not feel them as comfortable as before, until you become used to them again. During the recovery period, some people may feel quite depressed. 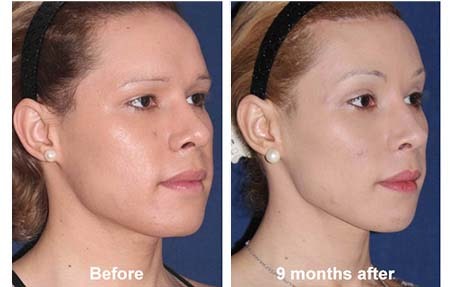 It is quite normal to feel this way after any kind of surgery, whether it was for facial feminization or not. You may even come to think that you made a big mistake. But don’t worry. Most of the people who are happy today and who are satisfied with the results obtained, have also felt somewhat depressed. What are the risks and complications involved in this facial surgery? Every surgery, no matter how simple it may be, or whether it was meant for feminization or not, has certain risks, and we should not rule them out. However, it is very unlikely for a canthopexy/canthoplasty to present any complications when performed by a qualified facial feminization surgeon. It may be recidive (in some cases, the fixation may give way before the healing process is completed and the lower eyelid will acquire the same characteristics it had before the surgery). Your eyes will look more stylized. The change will be very subtle and many won't be able to pin it down unless you talk about it. You may be told that your eyes seem to have a special look and they will wonder if you have changed your make up. 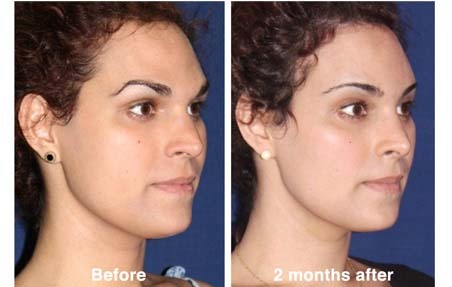 You will be able to appreciate the results after 2 or 6 weeks, and they are usually permanent. 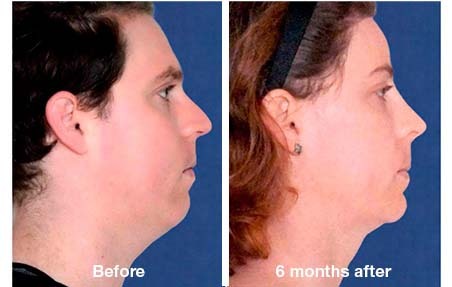 You shouldn't expect to get a noticeable degree of facial feminization after canthopexy, since it's not a feminization surgery. The scars will become almost invisible after a few months.